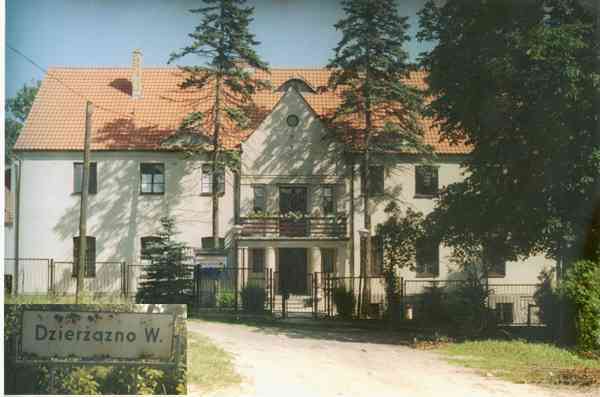 Dzierżązno Wielkie: a mansion where Jan Popiel was born. On the East side of the mansion (from the building back, below a cliff), there is a picturesque lake. Dzierżązno Wielkie is a part of the Wieleń Township, between Piła and Krzyż.